If you are a die heart fan of 'Game of Thrones' series, there's good news for you, but obviously bad for HBO. What's more? The hackers have already leaked upcoming episodes of the shows "Ballers" and "Room 104" on the Internet. Additionally, the hackers have also released a script that is reportedly for the upcoming fourth episode of "Game of Thrones" Season 7. According to Entertainment Weekly, hackers claim to have obtained 1.5 terabytes of data from the entertainment giant and informed several reporters about the hack via anonymous email sent on Sunday. Though HBO has confirmed the cyber attack on its network and released a statement, the company did not confirm what the hackers have stolen more information, and whether or not upcoming episodes of the widely watched Game Of Thrones have been stolen. "HBO recently experienced a cyber incident, which resulted in the compromise of proprietary information," the company confirmed the hack in a statement. "We immediately began investigating the incident and are working with law enforcement and outside cybersecurity firms. Data protection is a top priority at HBO, and we take seriously our responsibility to protect the data we hold." After leaking episodes of "Ballers" and "Room 104" and a script that is believed to be the new episode of "Game of Thrones," hackers have promised more leaks to be "coming soon." "Hi to all mankind. The greatest leak of cyber space era is happening. What’s its name? Oh, I forget to tell. It's HBO and Game of Thrones……!!!!!! You are lucky to be the first pioneers to witness and download the leak. Enjoy it & spread the words. Whoever spreads well, we will have an interview with him." 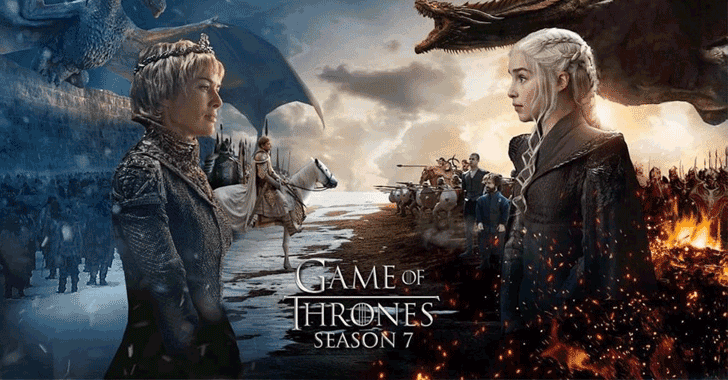 If hackers have indeed stolen 1.5 terabytes of data from HBO, it could be the company's second major cyber attack, after 2015, when the first four episodes of "Game of Thrones Season 5" appeared on the Internet shortly before the season's premiere. However, when compared to Sony hack 2014, wherein hackers stole 100 terabytes of data, the amount of data stolen from HBO is nowhere near it. "The problem before us is unfortunately all too familiar in the world we now find ourselves a part of. As has been the case with any challenge we have ever faced, I have absolutely no doubt that we will navigate our way through this successfully." At this moment, it is still unclear who is behind the hack. We will update the story with the latest information.